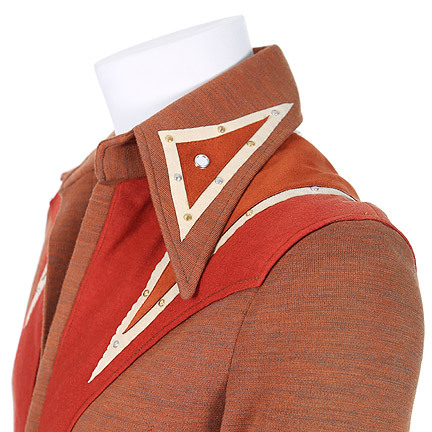 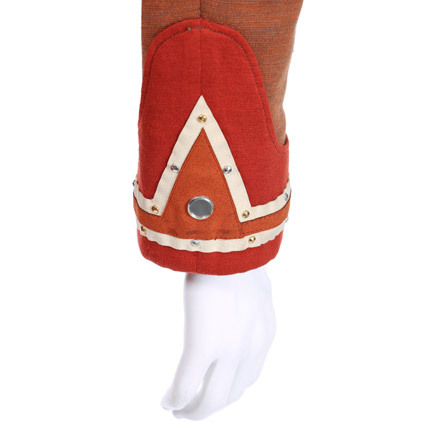 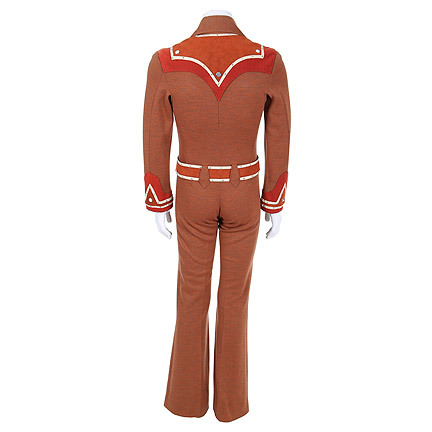 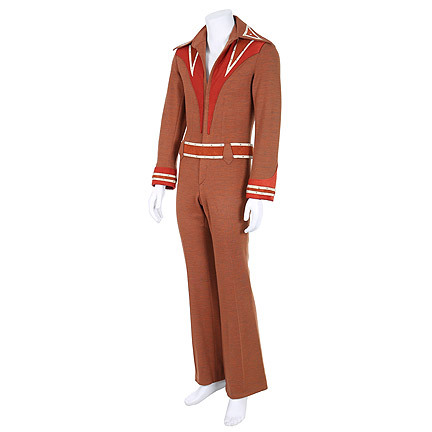 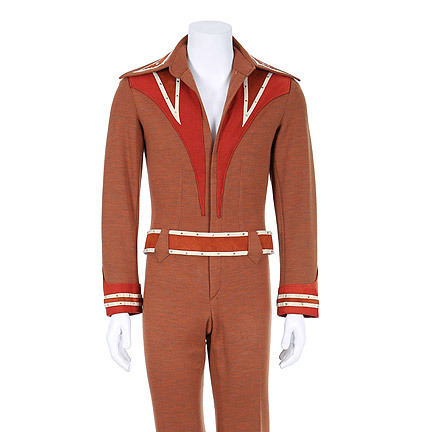 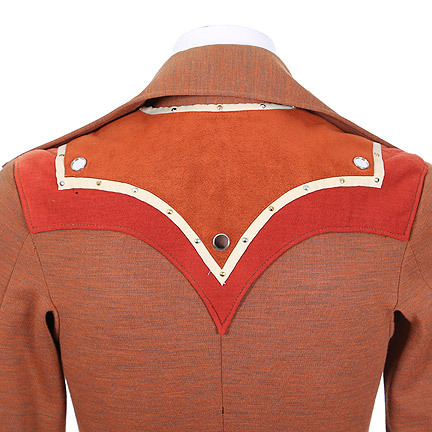 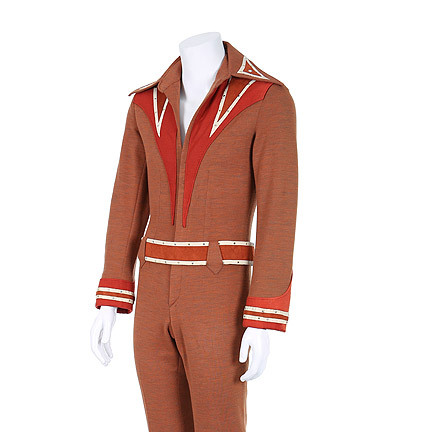 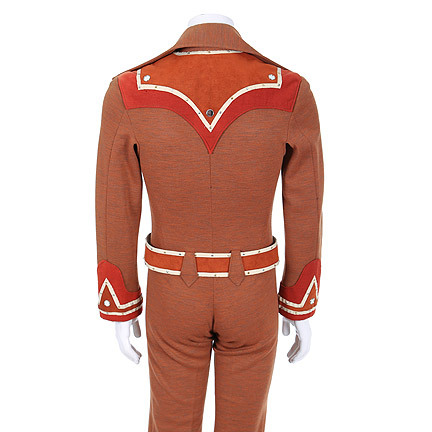 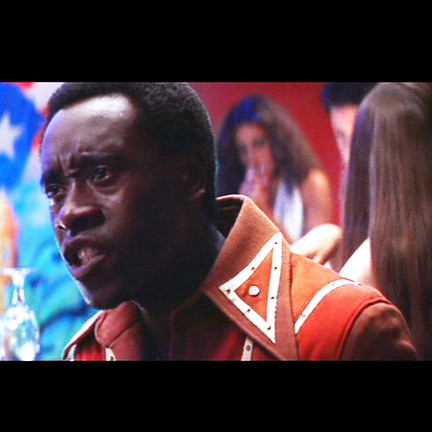 This jumpsuit was worn by the character “Buck Swope”, portrayed by actor Don Cheadle in the 1997 motion picture “Boogie Nights.” This jumpsuit and matching belt is constructed out of rust colored polyester wool blend material with reddish brown and silver studded tan geometric pattern on the shoulders, cuff, and collar. 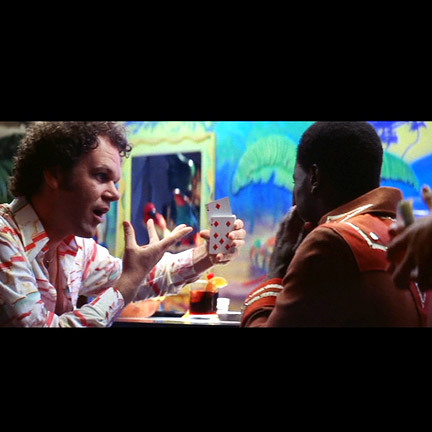 "Boogie Nights," written and directed by Paul Thomas Anderson, features an all-star cast including Mark Wahlberg, Burt Reynolds, Julianne Moore, Heather Graham, John C. Reilly, Don Cheadle, Philip Seymour Hoffman, and William H. Macy. 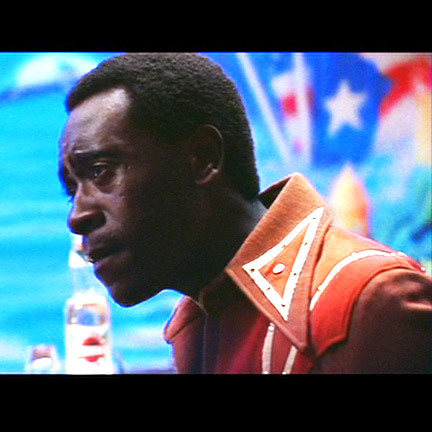 Set in Los Angeles' San Fernando Valley, the film chronicles the rise and fall of a young nightclub dishwasher who becomes a popular star of pornographic films during the 1970's and 80's. 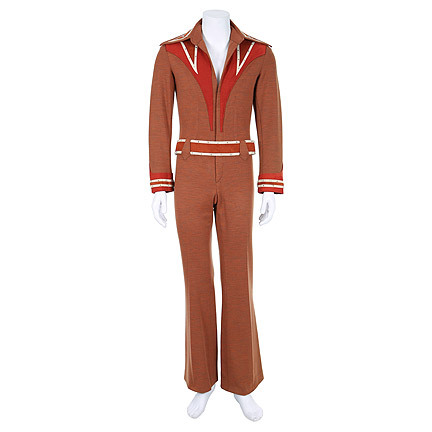 The picture was nominated for three Academy Awards and two Golden Globe Awards, with Burt Reynolds taking home the golden statue for Best Performance by an Actor in a Supporting Role.